After an event has finished – whether it was a huge success or a little bit disappointing – it’s often tempting to just ‘get on with it’ and look ahead to your next event, without giving the proper time and attention to evaluating the event just gone. Don’t miss out on this opportunity! Get started on your event evaluation today! To customize this template after signing up, choose ‘event evaluation’ as example when creating a new survey. Keep it short and simple. Following the KISS principle will work miracles for your response rate. Survey response rate is directly correlated to survey length or duration, we’ve seen on average a 17% drop in response rate when a survey has more than 12 questions or takes longer than 5 minutes to complete. 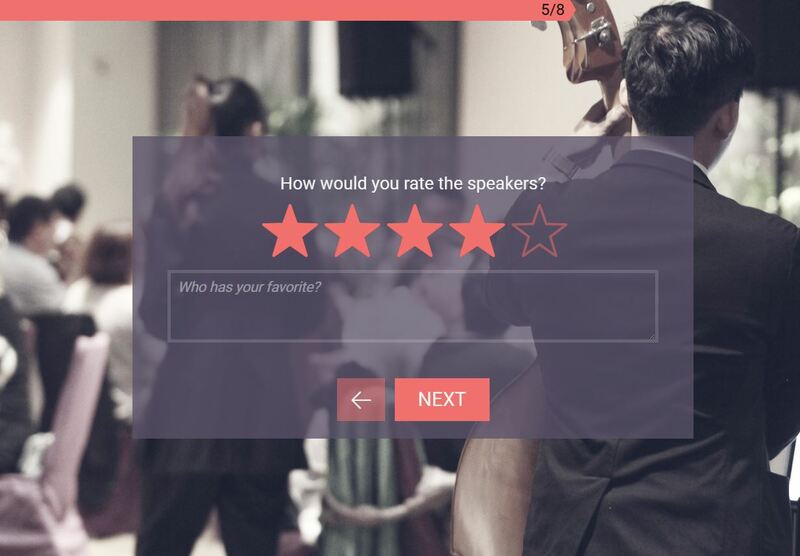 Why use Survey Anyplace for your event evaluation? To use this Event Evaluation survey, sign up for Survey Anyplace , and choose ‘Event Evaluation’ as template when creating a new survey. We’ve talked about how and what to ask in your event evaluation, the final part is who to ask it to. Most events have three key groups: your guests, your VIPs, and your vendors/partners. It’s important to evaluate them before you let them evaluate you. Typically, the most useful feedback comes from your VIPs and your vendors. These keys groups are small enough for you to manage the feedback, are educated in events well enough to recognize the good and “needs improvement” elements, and often respond to feedback requests. Collect actionable intelligence on your events with our Event Evaluation Template.